Customers can get in touch with for acquiring our precisely designed range of Extruder Plastic Components. From Tamil Nadu, India, we are offering Plastic Components that find applications in major industries across the world. 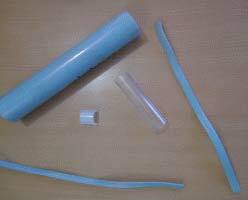 We are capable of delivering small or bulk orders of Plastic Components. We are regarded as an eminent Manufacturer, Exporter and Supplier of Extruder Plastic Components and known for our fair pricing policy.